Well Halloween came and went & November just snuck right up on us. Now that all the pretty leaves have blown away and the temperatures get cooler, I tend to go into hibernation mode. I'm not one to decorate my home for the holidays until after Thanksgiving but as a crafter and little shop owner, I do like to get a head start on the holidays. I've been collecting items for my annual Noel Notions that will be trickling into the shop soon and then there's my annual holiday notebooks. I like to create them every year for my lady friends. They're a fun little pre-holiday gift that I give out in November, just in time to start making those little shopping and gifts lists + maybe some holiday menus or crafts to make. You can click on the "notebooks" label at the end of this post to scroll through lots of my notebook posts. 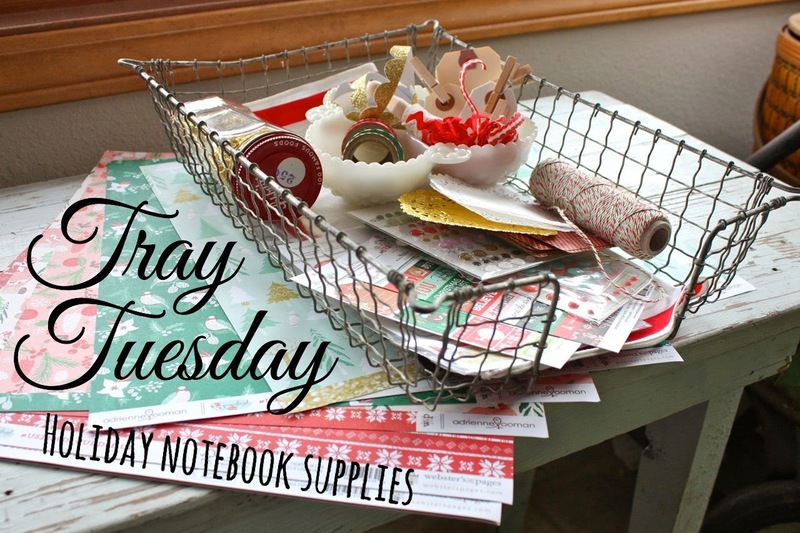 Today I'm sharing a fun bundle of goodies for Tray Tuesday. Tis the season for gathering up the holiday supplies. 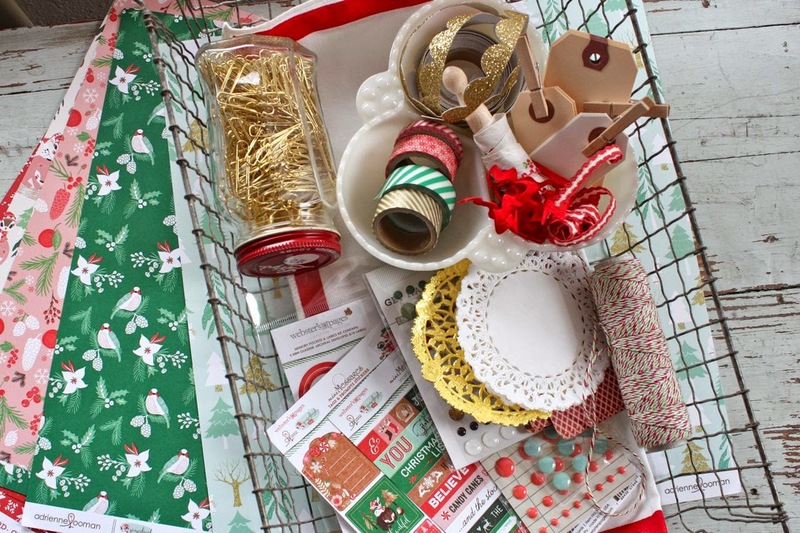 I grabbed this old, wire office basket which is perfect for holiday all my items. When I start a project, I tend to gather and collect. I like to shop my stash of crafty supplies and sometimes I like to order something brand spankin' new. Each year I like to order a few supplies that are selected specifically for my holiday notebooks. This year I chose the Webster's Pages Gingerbread Village line by Adrienne Looman. 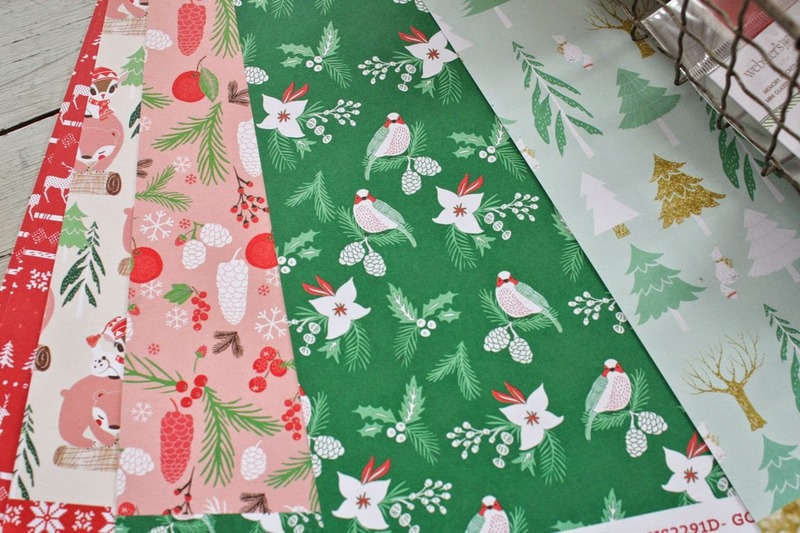 It's a whimsical little collection with the most delightful holiday colors and patterns. Some of my staple shop items always make it into my supply basket. Here I chose Small Clothespins, Small White Tags, Small Manila Tags, Medium Manila Tags, White Dainty Doilies and Gold Foil Doilies. It's good to always tuck a few of these in because they're just good old stand bys for me. 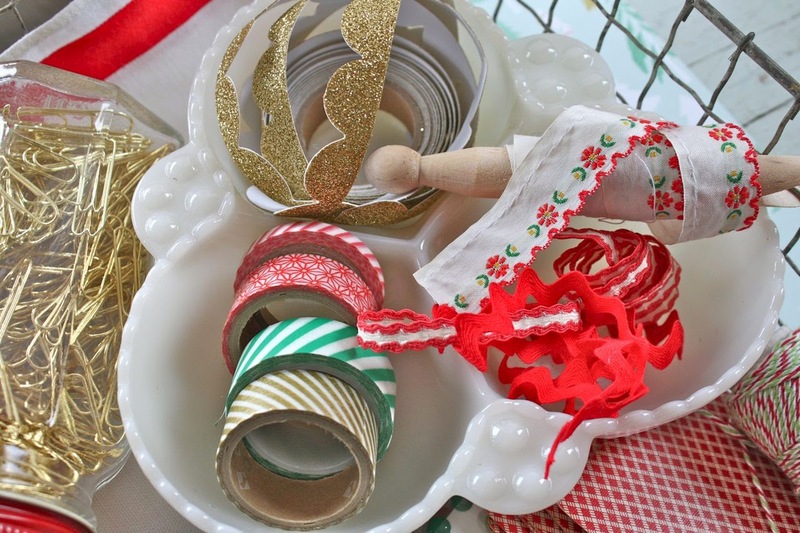 I also added in some holiday colored Washi tapes, gold scalloped tape and some vintage ribbons from my stash. The papers will steal the show this year. Just look how cute and whimsical these are. You can google the line and various online shops pop up that carry these supplies. Can't wait to get started on these little gems as they are always fun to package and hand out to the ladies. 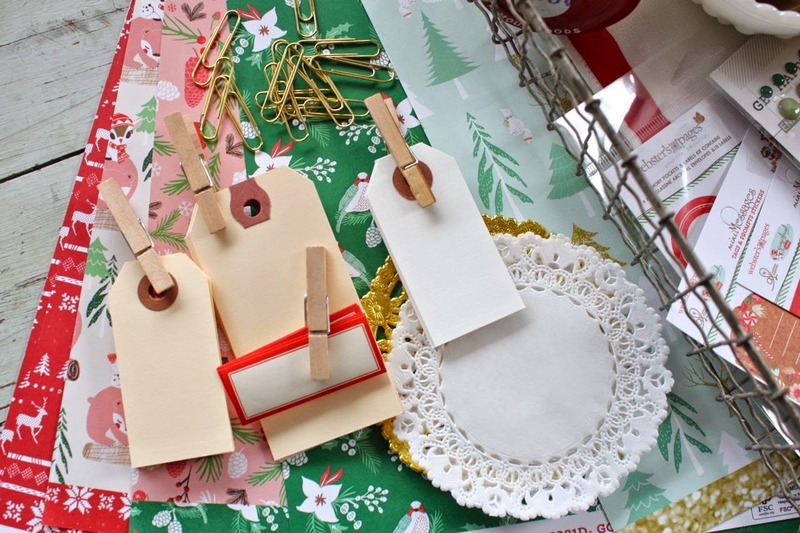 Have you started on any holiday projects? I'd love to hear what's on your list this holiday season. 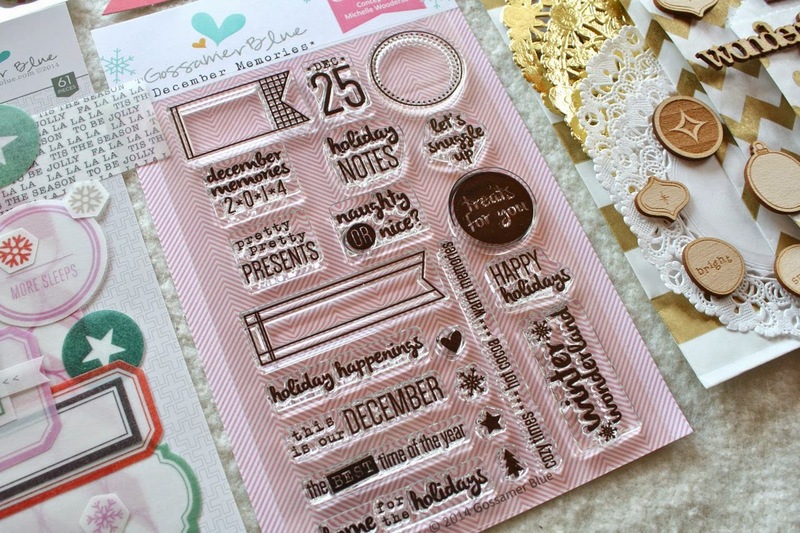 In other crafty news, the Gossamer Blue 2014 December Memories Kit is now available. 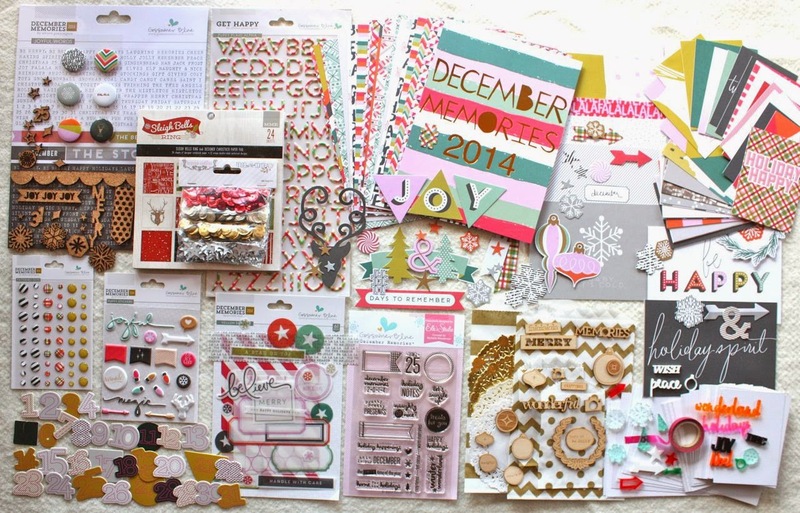 It's jam packed full of holiday crafty items + there is a 6 x 8 album that goes with the kit. We just added a December Memories 2014 section to the forum so we'd love to chat it up this season with you. We teamed up with Elle's Studio to bring my sketches to life for the stamp set for the kit this year. I can't wait to start working on my album. I'll have posts of my process in the near future. 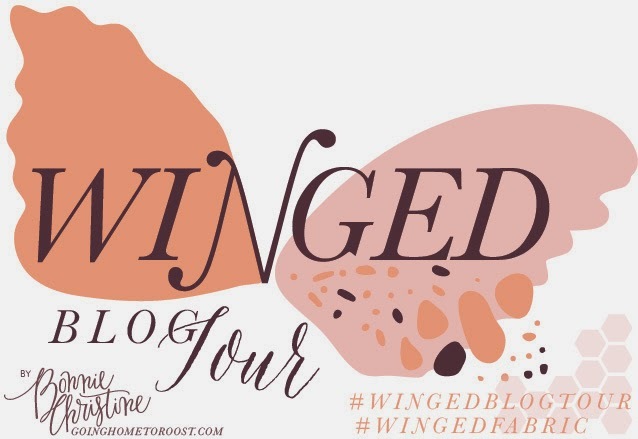 Also, I'll be joining in on the Winged Blog Tour this week with Bonnie Christine. 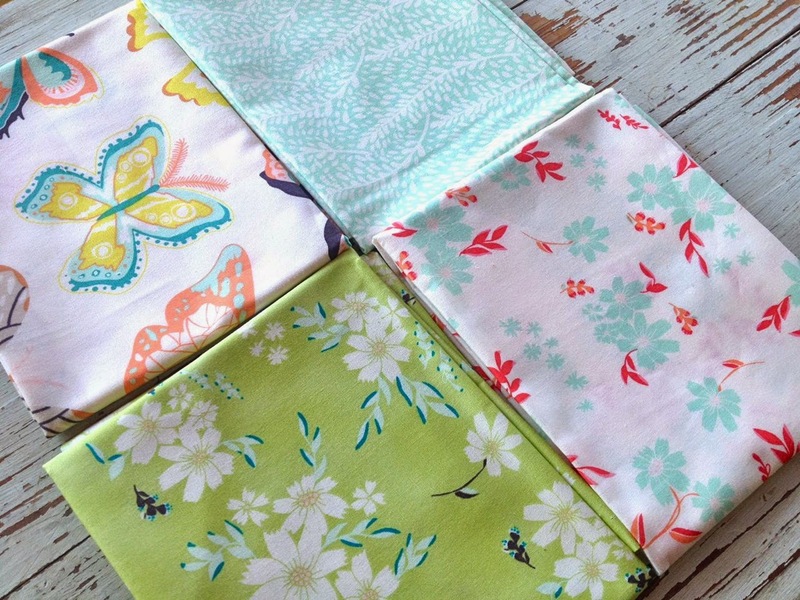 She designed this wonderful fabric line for Art Gallery Fabrics and has invited me to share some creations with you. Check back this week for my post. You can follow along the blog hop each day for 31 full days right here. Lots and lots of good inspiration here. Sooooo....lots of good stuff to come. I hope you'll pop back in often. Also, I post a lot more photos on Instagram. You can follow me on the left hand side bar. :) See ya back here soon. That Gossamer Blue kit has no much neat lookin' stuff! Can't wait to see what you make this year! I've just started to pull items for my December Daily and am thinking about what colors/styles I want to go with. I also decided to scrap 30 Days of Thankfulness for November so that's my main focus right now.